Sometimes you may find it necessary to copy existing worksheets in Excel into another workbook. 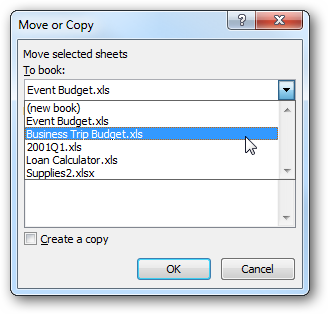 Today we show you how easy it is to copy a worksheet to another workbook in Excel 2007 & 2010 Beta. 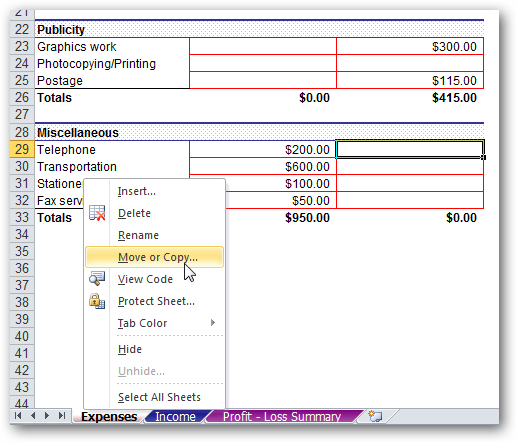 First open the workbook with the sheet you want to copy, right-click on the sheet tab and select Move or Copy. 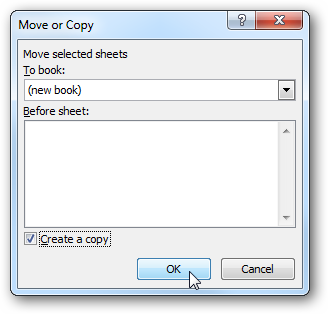 Make sure you have the workbook(s) that you want to copy the sheet into open for them to show up in the “To book” dropdown list, then choose the one to copy to. If the workbook that you want to copy to isn’t open, it won’t show up in the dropdown list. 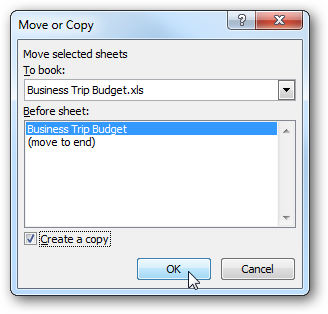 In the Move or Copy dialog box check the box next to Create a copy. You can also choose to have it before the existing sheet or at the end… then click Ok.
That is all there is to it! Now you can go into the workbook you copied it to and send it off or work on it. You can also copy and move the worksheet into the same workbook or into a new workbook as well. This is much easier than sending multiple workbooks to your coworkers and can make building workbooks much easier.